It’s a big week for us-our family has come to England to visit! As they’ve made the trek over here it got me thinking about travel and how I have a hard time keeping on track with healthy eating when I’m on the road. Not only does the constant barrage of fast food make my waistline grow but it makes me feel just altogether “bleh” if I eat too much of it. I’ve posted before about how to eat clean while traveling but if you can’t prep your meals fast food might be your only option. 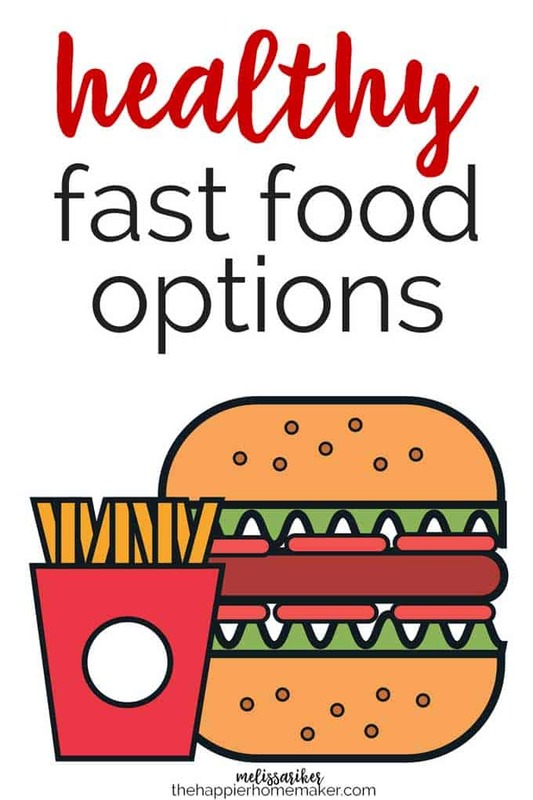 I decided to round up the healthiest fast food options for myself and for you as well! McDonald’s is far and away the most common fast food restaurant so it seems fitting enough to start here. The best healthy option for both calories and fat at McDonald’s is the Artisan Chicken Sandwich, with just 380 calories and 8 grams of fat. Skip the fries and add on a side salad with lowfat dressing or a side of fruit and water for a reasonable meal. Many of the meal salads at McDonalds come with dressings that are very caloric so ordering them plain and substituting a low or no fat dressing is another option as well. 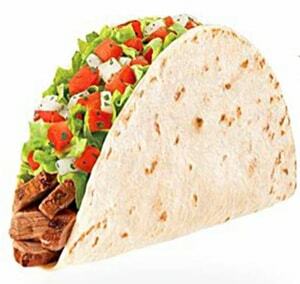 Taco Bell has a fresco menu of cheeseless variations of their menu favorite under 350 calories and 10 grams of fat. The sneaky thing about Taco Bell in general though is the salt content. I don’t know about you but I can tell if I eat too much salt in a day-I look like the Stay Puft Marshmallow Man the next day! Your best bet for both calories and salt are the Fresco tacos. They are all between 140-160 calories and under 500 milligrams of salt. Pair a taco or two with a side of black beans or Latin Rice and water for a filling meal. Subway is one of the easiest places to find a healthy option so long as you watch the sauces, keep your sub 6″ long, and load up on veggies. I always choose a whole wheat bread and generally opt for turkey or roast beef and add mustard instead of mayonnaise to keep it under 400 calories. KFC is probably my husband’s favorite fast food but I find it a hard place to order from personally. I’m very sensitive to fried foods, and well, this place has “fried” right in the name! Luckily their menu has some good options, starting with a Kentucky Grilled Chicken Breast coming in at only 180 calories. Couple with Mashed Potatoes with Gravy (120 calories) and green beans (25 calories) for a full meal under 400 calories. I have to be honest here, it’s pretty hard to find good low calorie options at Hardee’s-most of their menu items are unapologetically indulgent. They do have a healthier options menu on their website that includes low carb bun-less versions of some of their popular sandwiches as well as trimmed down versions of others. 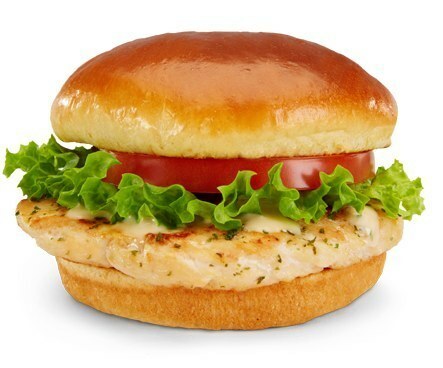 From that menu the Charbroiled BBQ Chicken Sandwich is a winner at just under 200 calories. Steer clear of the sides here though-even a small fry comes in as 360 calories and the non-fry options are all over 400 calories. When researching the nutritional value at Burger Kind I was actually quite surprised that a number of their sandwiches are lower in calories that I would have thought. A hamburger, cheeseburger, or bacon cheeseburger deluxe all come in under 300 calories. You can add in a side salad for under 100 calories but steer clear of the Ken’s Steakhouse Ranch dressing-one packet is 260 calories! Chick-fil-a is my absolute favorite fast food restaurant! Luckily for me they actually have some really great healthier options on their menu as well. 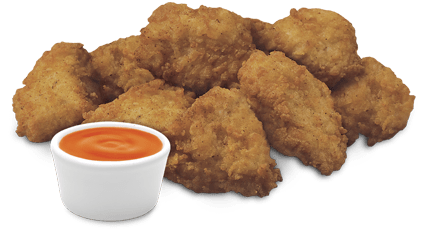 You can opt for their Grilled Chicken Sandwich for just 320 calories or, if you’re like me and really want that classic breaded chicken, choose an 8 count chicken nugget for 270 calories. Add on a 50 calorie fruit cup or 80 calorie side salad with 25 calorie light Italian dressing and some unsweet tea or water to complete your meal. I find Chipotle to be a little tricky when it comes to making the best choices-many of their foods have pretty high levels of sodium in them and things that seem like smart choices maybe deceiving. You can experiment with their online Nutrition Calculator to find your perfect combination but for me personally I usually choose a Burrito Bowl with Steak, Brown Rice, Fajita Vegetables and Salsa for 405 calories. The salads are a good option too but if you choose that resist the vinaigrette packs a whopping 260 calories just by itself! Instead, flavor your salad with veggies and salsa to save the calories. Wendy’s has a lot of options but my favorite smart choice is the Grilled Chicken Wrap at just 270 calories and 20 grams of protein to help you stay full. Pair it with a side salad, opting for the Light Asian Vinaigrette to keep calories down. 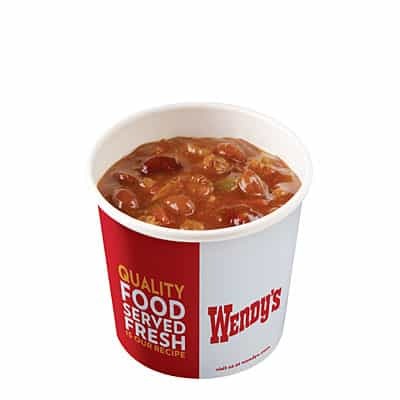 Another option is their famous chili-a large bowl will run you 250 calories and always fills me up! That’s my round up of the most common fast food restaurants I’ve found and the healthiest choices at each. Do you have as hard of a time making good choices when traveling as I do? Are there other healthy options I’ve missed? Let me know in the comments!